When buying a home for the first time, there are a lot of unknowns. Will the new neighborhood be safe? It’s important to note that you’re not alone. In fact, there was a boom of first-time homebuyers in 2017. Just in the first quarter alone, the number of people buying their first home outranked every other total year since 2005. The bottom line is that more and more people are purchasing homes for the first time. The good news is that there are a lot of people and resources you can count on to guide you through the process. You just don’t know them yet. Let’s review. Before you go looking for the perfect home, there are a few things to check off your to-do list. When buying a home is in your near future, start doing some research. Go on websites like Zillow or Redfin and start looking at what’s out there. You might be surprised at what you’re drawn to. Start making a list of home features you like and need. For example, do you want two stories? Do you need a garage? Do you want a brand new home that you can customize? Research will also help you get a feel for the market. Watch the homes you like and see how quickly they sell. What price range are you thinking you can afford? Make a list of all these things and your future self will thank you! Knowing your numbers is crucial when buying a home for the first time. You might think you can afford something, but there’s much more to consider than the base price of the home. Factor in monthly utilities, renovations, home security systems, closing costs, moving costs, etc. Start by determining how much money you can afford to pay monthly. Then work up from there to figure your price range. Getting pre-approved means that a lender will look at your personal finances and employment history to determine what type of loan you qualify for, the interest rate, and the amount. This is a big step in the home buying process that you don’t want to leave out. If you don’t get pre-approved, you’ll be taking a gamble later on if you make an offer on a home that you might not be qualified to purchase. The fun part is when you get to go tour houses that you’re interested in buying. This makes those late nights on Zillow much more exciting. As a first-time home buyer, you don’t necessarily need a real estate agent, but you can hire one to help you. When you’re touring model homes, there will be knowledgeable and helpful home experts there who can help you narrow down what you’re looking for. They will also explain processes, timing, paperwork, and protocol, which will help you feel more confident in the buying process. After you’ve looked at a few houses, ask yourself if you can see yourself living in the neighborhood. One way to get a better feel for the area is to go on a walk in the neighborhood or go grocery shopping at a nearby grocery store. This step will help your agent help you. When they know what you want, they can laser in on homes for sale in that neighborhood or put feelers out for homes that are coming soon. Did you find the one? You probably got a surge of excitement and energy when you toured the home you want to buy. It’s time to make it official. This tip is a check and balance. Bring a friend or family member to the house or houses that you’re thinking about buying. Hopefully, they share the same excitement you do. If not, they might give you some things to think about. Someone who has purchased a home before can point out things you might not have thought about, like old roofing, lack of play space for future kids, the apartment complex across the street, or a dysfunctional kitchen layout. This doesn’t mean you have to take your advice, but it’s always a good idea to get a second opinion. Buying your first home is a big milestone. 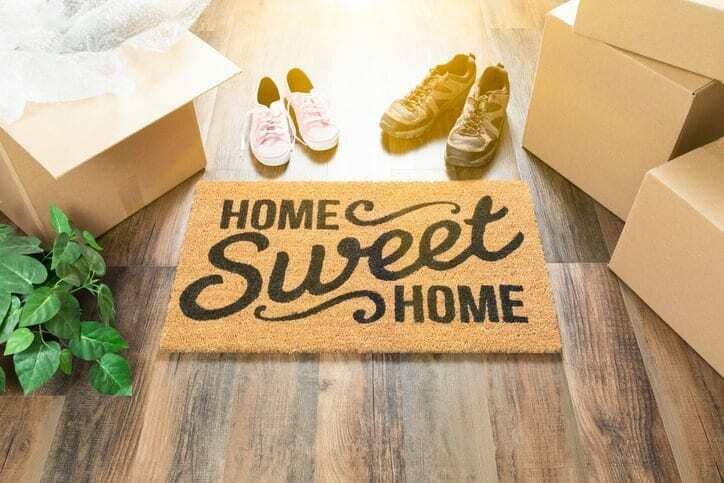 Haven’t found the home of your dreams yet? Have you thought about building it? At Porchlight Homes, we bring your dream home to life with thoughtful craftsmanship and a genuine touch. For more information about our communities, reach out to us online or stop by for a tour in Phoenix or Gilbert.